A DuPage County judge on Friday morning ordered the CEO of a technology company held without bail in connection with last month's shooting death of a former standout University of Maine basketball player. Jeffrey Keller, 51, of the 5500 block of South Park Avenue, in Hinsdale, was charged with first-degree murder early Friday in the Dec. 22 shooting death of 37-year-old Nate Fox. Prosecutors alleged Fox was slain because Keller, who is married, believed Fox was romantically involved with a woman with whom Keller also had interest. They said the woman, identified as "Katie," worked with Fox previously but didn't know him very well. Prosecutors said Keller was obsessed and that he followed Fox for days. Despite owning four vehicles, authorities said Keller rented a black SUV, drove to Fox's house and shot him in the driveway before taking off. 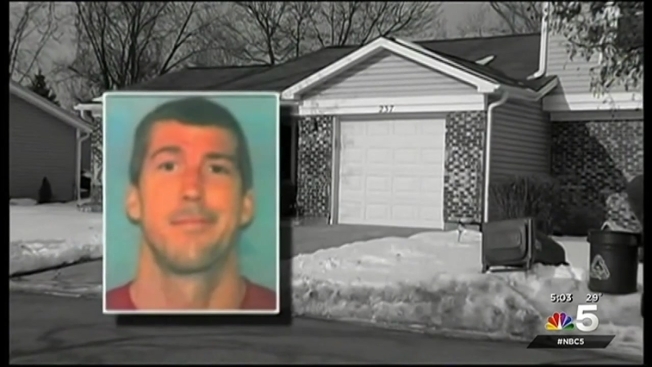 Fox's girlfriend was in the home making dinner at the time of the shooting, a prosecutor said. At a press conference after court, DuPage County State's Attorney Robert Berlin said Keller was taken into custody on Wednesday after being called in for questioning. Police said they have a recorded conversation between Keller and a friend in which he confessed to the crime. Keller is the CEO of 8to18 Inc. and owns a home valued at more than $1 million, officials said in court. Judge George Bakalis set the next court date for Jan. 21. If convicted, Keller faces a sentence of 45 years to life in prison. Fox, who stood 6 foot, 9 inches tall, graduated from Plainfield High School and scored 1,036 points in two seasons with Maine after transferring from Boston College. He averaged 17.9 points and was selected for the first-team All-America East his senior year. Fox later played professionally in Europe, including in Germany, Estonia and France.